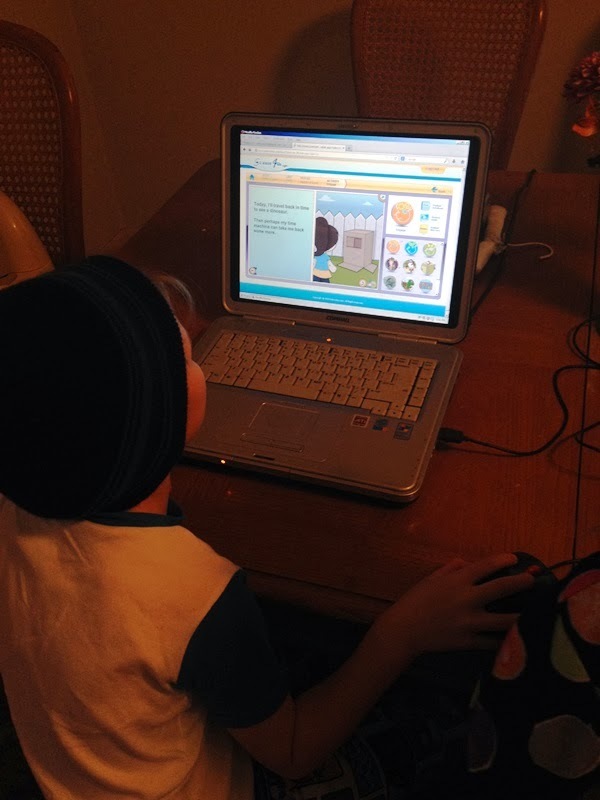 Through the Homeschool Review Crew, we've recently been reviewing Science4Us.com. We received the Science4Us.com Online Subscription which gave us access to their complete website for six months. I think Science is fascinating but I don't consider myself very knowledgeable about it. Zeke (my eight year old) likes doing experiments and delving deeper into science topics but I'm horrible about keeping track of them and coming up with different, unique ideas. When we first started this review I wondered how exactly we would be able to do Science online on a computer, and I was very pleasantly surprised to see that it works out great! 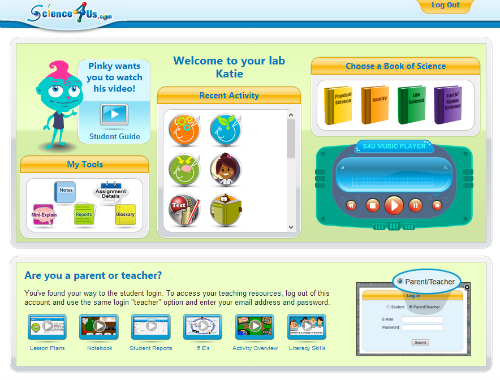 Science4Us.com is made for kids in grades kindergarten through second, but can also be used with kids grades third through fifth as review. Upon entering the main part of the website, there are different areas of Science the kids can study. Once you decide on an area (like Physical or Life Science) it is then broken down into different subjects - History of the Earth, States of Matter, Motion, Weather, etc. Each subject has it's own section full of different activities. During one of the History of the Earth lessons Zeke watched a video about the Earth, drew some pictures of his personal timeline (birth until now, age eight) in his online notebook, studied vocabulary words for the lesson, and then talked with me about how the Earth (and he!) have aged. He also went on to later recreate the timeline after getting off the computer, and adding to it with imaginary "future Zeke." There were many different other offline things we were able to tie into the lessons as well - writing the vocabulary words on flashcards or writing out sentences using them correctly, checking out books at the library related to the topics we studied, watching YouTube videos or DVDs/TV shows on the subject, etc. The teacher's guides that are included for the lessons are wonderful. They give you all the information on one neat little page, including: the basic information with an overview of the main concepts, key words, and activities to be completed. The teacher's guide pages include links to accompanying activities you can also do with your students. Logging in as the teacher on the teacher's section allows you to assign certain topics or modules to your students with due dates, see what material your child has already covered along with their answers or drawings, and grade completed work.